No Obligation On-Site Quote. Free 2nd Opinions. 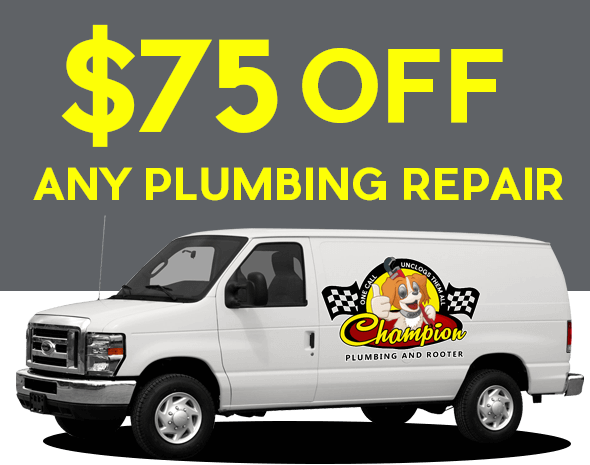 Champion Plumbing and Rooter Services provide fast, professional plumbing installation and Repair Service to the Phoenix area 24 hours a day, 7 days a week. Affordable Phoenix Plumber serving Scottsdale, Sun City, Glendale, Peoria and Tempe specializing in Drain Cleaning, Rooter Services, & Broken Water Pipes. If you need a Plumber in Scottsdale or way across town in Sun City give us a call today for a free in-home estimate. Same Day and Emergency Plumbing Service 24/7 in Phoenix. 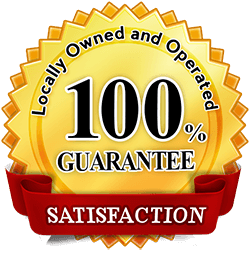 That’s where Champion Plumbing and Rooter Services shines because we are the guys with 30+ years of plumbing experience and the best trained plumbers in the industry. 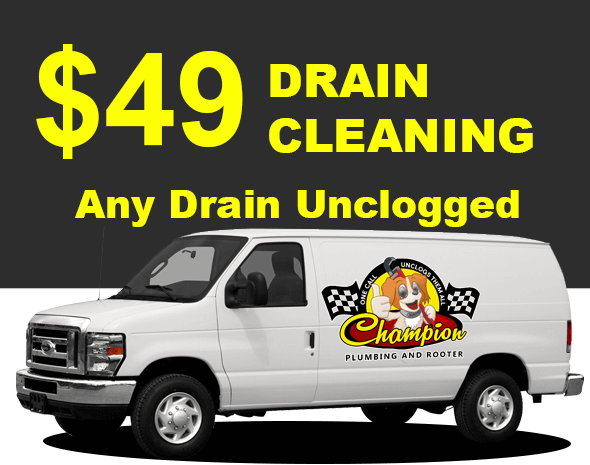 The most Trusted and Experienced drain cleaning and drain clearing Technicians are at Champion Plumbing and Rooter. We offer expert rooter phoenix service and affordable plumbing repairs, drain clearing and sewer repairs in Scottsdale, Phoenix, Glendale, Sun City, Chandler, Peoria, Tempe and Mesa. We pride ourselves on Diagnosing and fixing your clogged shower drain problem quickly and efficiently. Our Drain Cleaners and Drain Cleaning Technicians are highly trained in the Sewer and Drain industry and meet high standards for diagnosing and solving customer’s sewer cleaning and Drain cleaning problems. We offer honest and professional 24 hour emergency services and we are experts in water line repair services in Phoenix Metro, or water line re-pipes. What that means is we can handle the emergency needs like fixing clogged drains and other Phoenix area kitchen and bathroom repair services, but we also do preventative maintenance like drain cleaning or water leak detection. "I had a drain line in my kitchen wall that was broken and Champion Plumbing and Rooter did a great job of replacing it for me. They’re guy was very professional and had the job completed fast. He cleaned up everything and my kitchen drain works better than ever. 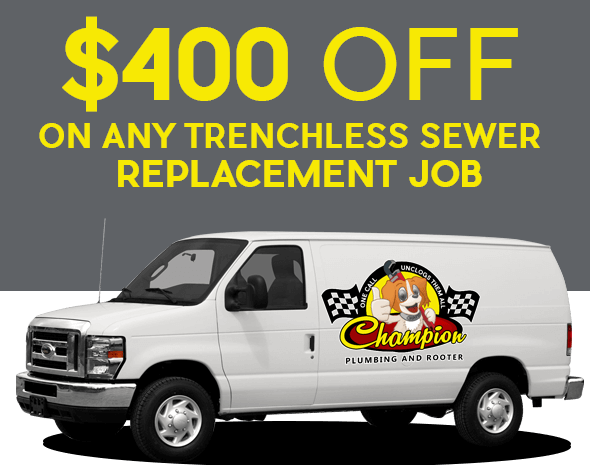 I highly recommend Champion Plumbing and Rooter for any plumbing problem you have. " "We called Champion Plumbing and Rooter Services when the bathrooms in our house started to backup into the tub and shower. They sent a Technician out and he ran his cable through the Toilet opening and got the drain to go down. They put a camera into the drain and showed us the problem and explained what needed to be done to fix it. They were very helpful and took care of the problem for us. I will definitely use them again. " "I called Champion Plumbing and Rooter for my tenant in my rental home in Glendale because the bathroom sink was stopped up. The guy they sent out called me and explained the issue to me over the phone then gave me two options to take care of it. I really appreciated that. I told him to do what he would if it was his house and he did. The problem is fixed and it’s never caused any problems since. 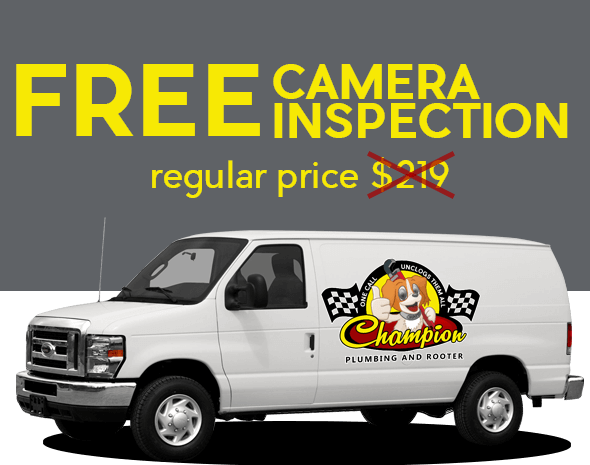 Thank you Champion Plumbing and Rooter for such great service! " "We had been having a problem with our water heater for several months and finally I decided to call a plumber. 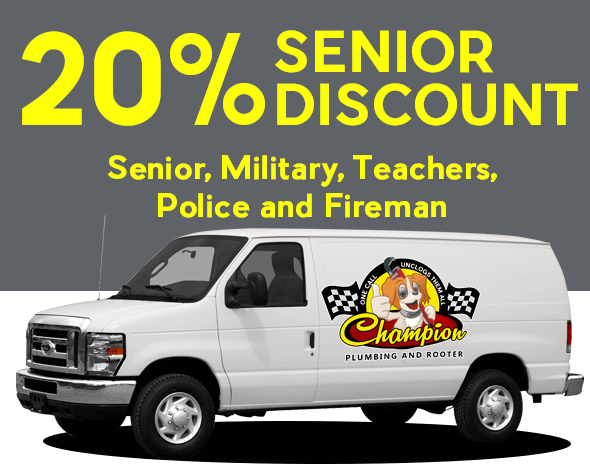 We chose Champion Plumbing and Rooter and I was glad that I did. The water heater was leaking badly now and the technician they sent was able to get us a new one and get it working the same evening. He put it in and cleaned up all the water too. He even helped us talk with the Insurance Company so we didn’t have to worry about that. Thanks so much Champion Plumbing and Rooter." © 2015 Copyright Champion Plumbing and Rooter.